VidaBox LLC. is a privately held, diversified electronics manufacturer, assembler and distributor headquartered in Plainview, New York, USA. Founded in 2005, our company has a history of creating innovative and award-winning AV products, servers, tablet enclosures, frames, and assorted power solutions. With the advent of the iPad and other portable tablets, we now develop and market our line of tablet solutions under the VidaMount and VidaPower brands. 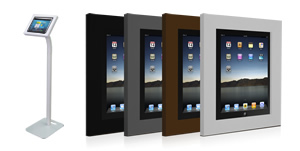 Today - VidaBox | Kiosks manufacturers assorted high quality tablet enclosures, frames, mounting options and power solutions, under the VidaMount and VidaPower brands, for both commercial and residential markets. Our goal is to bring you cutting edge design, utilizing the latest manufacturing techniques and highest quality materials, at a price that still provides you the best value possible. 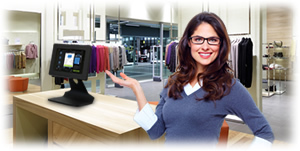 From Point-of-Sale (POS) solutions, to unique customization options, to engineering the best enclosures for the latest tablets, VidaBox | Kiosks, will always strive to develop the very best products and solutions to help support your digital information projects. We will continue to evolve our offering to match the ever increasing number of tablets on the market each year. We foresee the growth, driven by the overwhelming acceptance of tablet hardware and software, and we are thoroughly committed to supporting this market. Our headquarters will be closed during these holidays. Orders placed during holidays will be shipped next business day. Our UK warehouse will be closed during the following holidays. Orders placed during holidays will be shipped next business day. Our Canadian warehouse will be closed during the following holidays. Orders placed during holidays will be shipped next business day. Our EU/Germany warehouse will be closed during the following holidays. Orders placed during holidays will be shipped next business day. Our Australian / New Zealand warehouse will be closed during the following holidays. Orders placed during holidays will be shipped next business day.